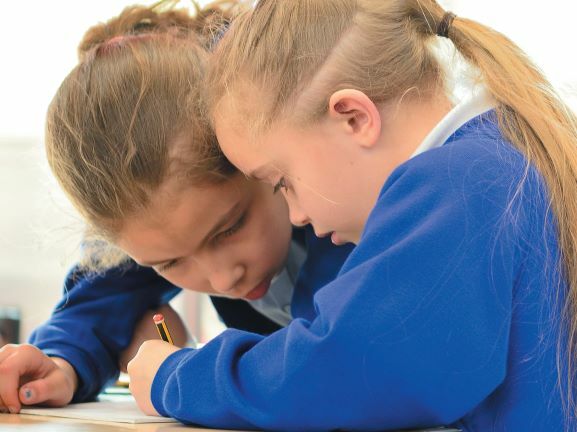 Building on an earlier post in this series which looked at oracy, Rupert Knight considers here the concept of the dialogic classroom, how it relates to a culture valuing spoken language more generally and how this might serve a wider purpose. While the previous post looked specifically at talk between peers and the idea of exploratory talk, I want this time to broaden the discussion to consider what has been called dialogic teaching. The OECD, best known for the influential PISA international league tables, has also turned its attention to the experiences that learners will need in order to thrive in an uncertain future. Its ongoing work on a global learning framework identifies a number of skills – alongside knowledge, attitudes and values – that will be particularly valuable. Among these are collaboration, critical thinking and self-regulation. Singling out skills in this way can be controversial as some see them as domain-specific, rather than generic and transferable (see, for example, this paper by Daniel Willingham). Nevertheless, even if they are best taught within specific subjects, they are worthy of attention alongside the substantive knowledge component of the lesson. However, creating a culture like this is no overnight task: it involves a change of culture at classroom and, ideally, school level and the implementation of a challenging form of pedagogy. So how might teachers realistically take a first step towards a more dialogic classroom? I would argue that what is most important first and foremost is a dialogic stance, rather than a focus on the features of spoken dialogue itself. What do we mean by a dialogic stance? Firstly we need to recognise that the dialogic classroom is not exclusively about interactive, or pupil-led talk. Eduardo Mortimer and colleagues have argued that dialogic teaching can also involve the representation of different perspectives without interaction – multiple viewpoints can be reflected unilaterally by the teacher. If this includes teacher modelling of the process of evaluation and reasoning, then this is likely to strengthen pupils’ critical thinking and self-regulation. Dialogic teaching is also entirely compatible with some episodes of direct instruction. Effective teachers use their professional judgment to switch between dialogic approaches to communication and what Mortimer and colleagues call authoritative approaches relying more on teacher exposition. Secondly, a dialogic classroom is less about the specific structures of talk than the way in which a wider space for considering viewpoints is opened up. Boyd and Markarian in this paper argue that the hallmark of dialogic teaching is authentically listening and providing space for pupils’ voices and that this goes beyond superficial patterns of talk that might be encountered. Finally, it is worth noting that Robin Alexander himself, recognising the challenging nature of dialogic teaching, distinguishes in this paper between the first 3 aspects: collective, reciprocal and supportive classrooms, which make up the classroom culture and can be established relatively easily, and cumulative and purposeful dialogue, which are more difficult to achieve. By focusing initially on the first set – the classroom ethos – teachers can more readily begin their journey. What do you do to ensure that your classroom is a safe and supportive environment for sharing ideas openly? To what extent do you provide contexts for learning that allow pupils to share authentic views? Do you sometimes model the evaluation of alternative perspectives or ideas? Are you clear about which parts of learning are best suited to an authoritative mode of communication and which might be more dialogic? It would be great to hear of your experiences.